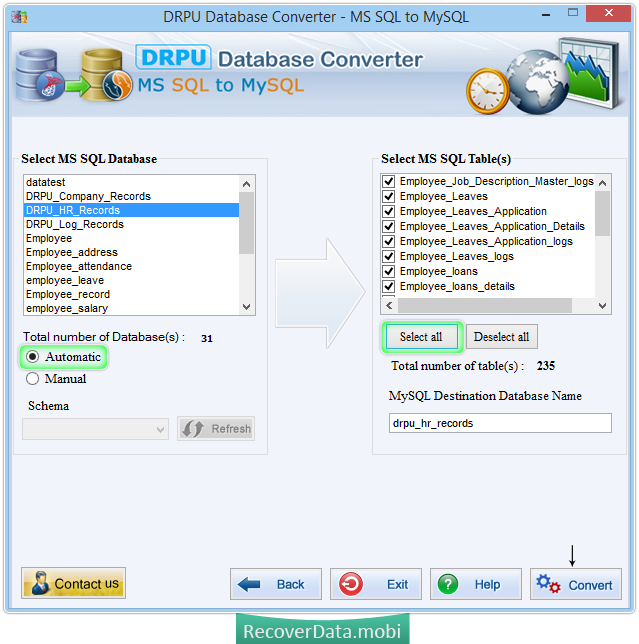 After establishing connection with MS SQL server and MySQL server, choose database table attributes to convert into MySQL database. In above screen, we have selected skip converting indexes and converting stored procedures for demonstration purpose only. Above screen shows Manual option, you can select schema manually by clicking on Refresh button with MS SQL database and table(s) accordingly. 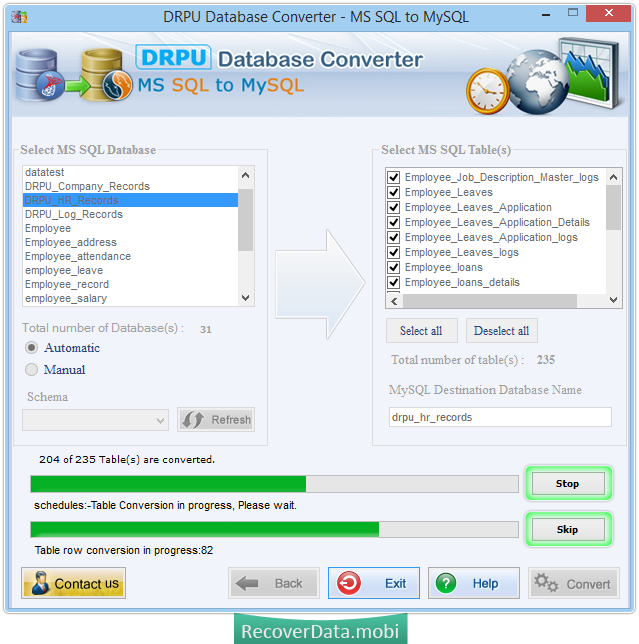 We are going to show you complete conversion procedure with Automatic option. 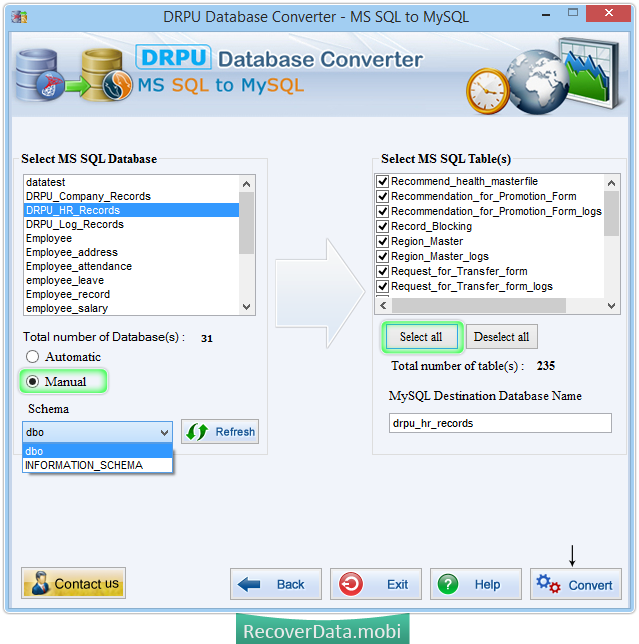 Here we have chosen MS SQL database and table(s) according to your requirement and click on Convert button to proceed. 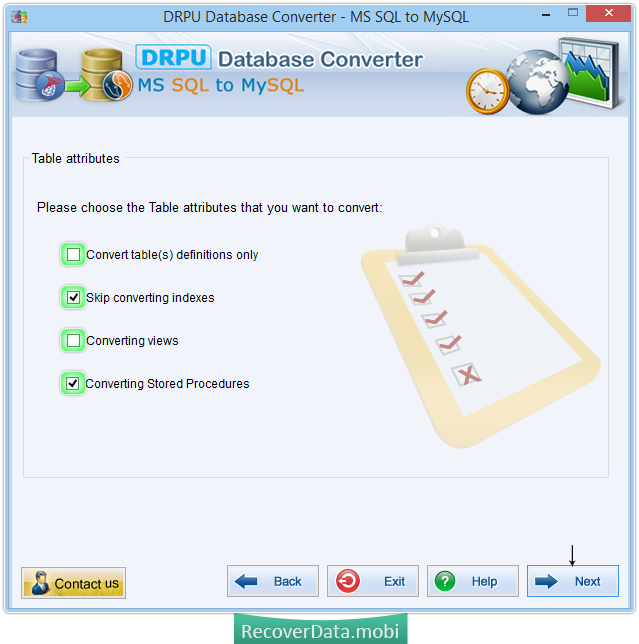 MS SQL to MySQL database conversion in progress, you may interrupt conversion by Stop button or skip any of the table from your database with Skip button. 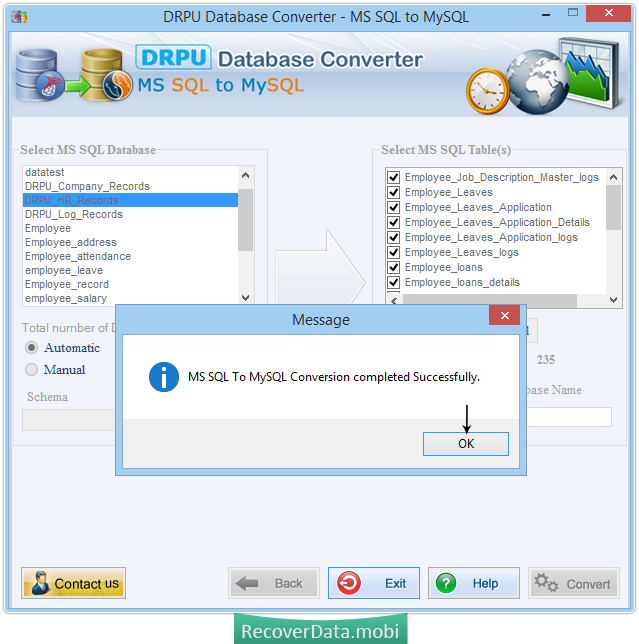 MS SQL to MySQL conversion successfully completed.